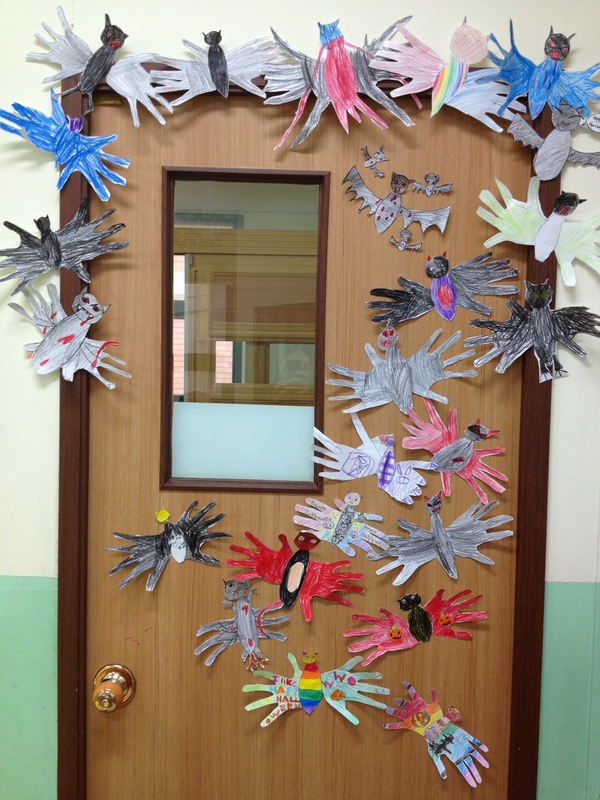 This week my school has been all abuzz about Halloween. The kids love it. LOVE IT. They dress up. We play games and eat candy. We watch movies. They’re all hyper and crazy-like. It’s…well, it’s a nightmare but…anyway. 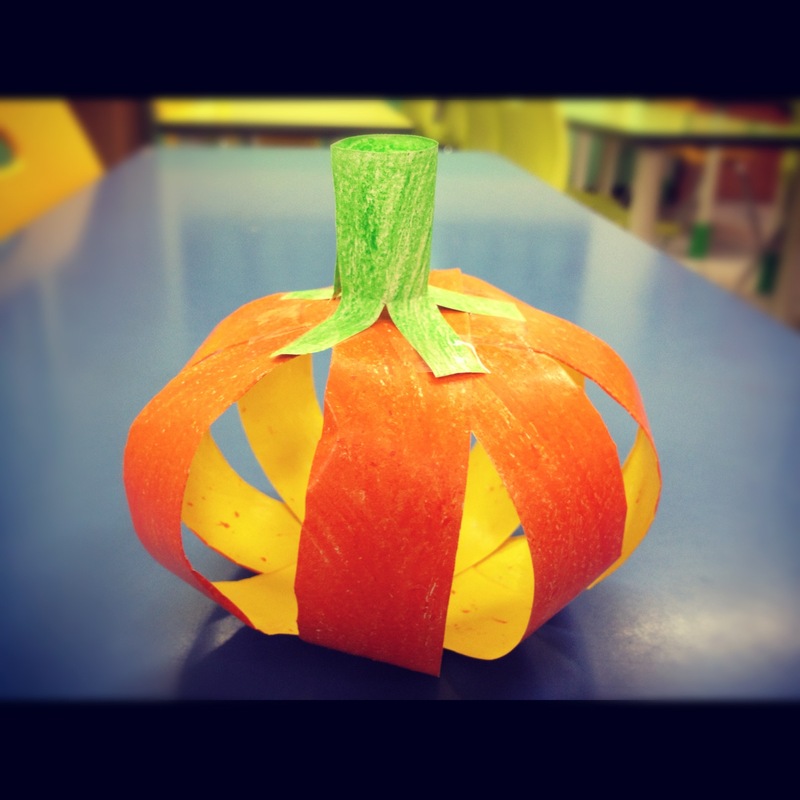 Much of this week has been spent decorating my classroom with all manner of crafts by the kids. I posted some pictures this week on Facebook and people were asking about them so I figured I’d write about them as they are suuuuuper easy and require no templates. I’ve worked at schools where there’s been a limit on paper, on printing, on using the computer, where we’ve not had a printer or photocopier and were banned from using paper other than what we bought ourselves. I, in turn, became really good at last-minute crafts that require nothing more than a sheet of paper, a scissor and some glue. The bats are very very easy. 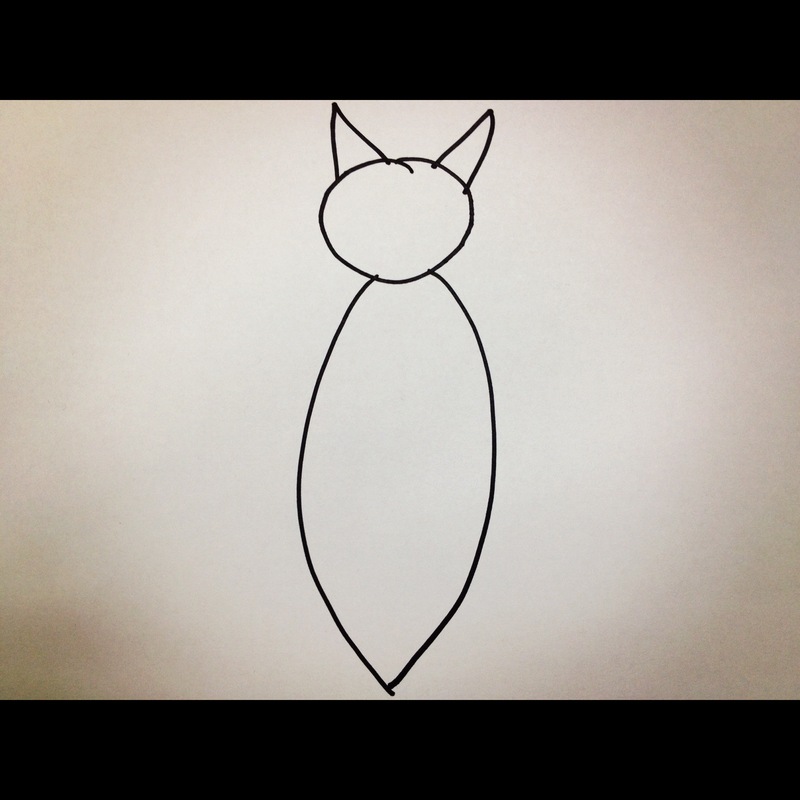 All you need is a sheet of paper, crayons, scissors and a pencil. 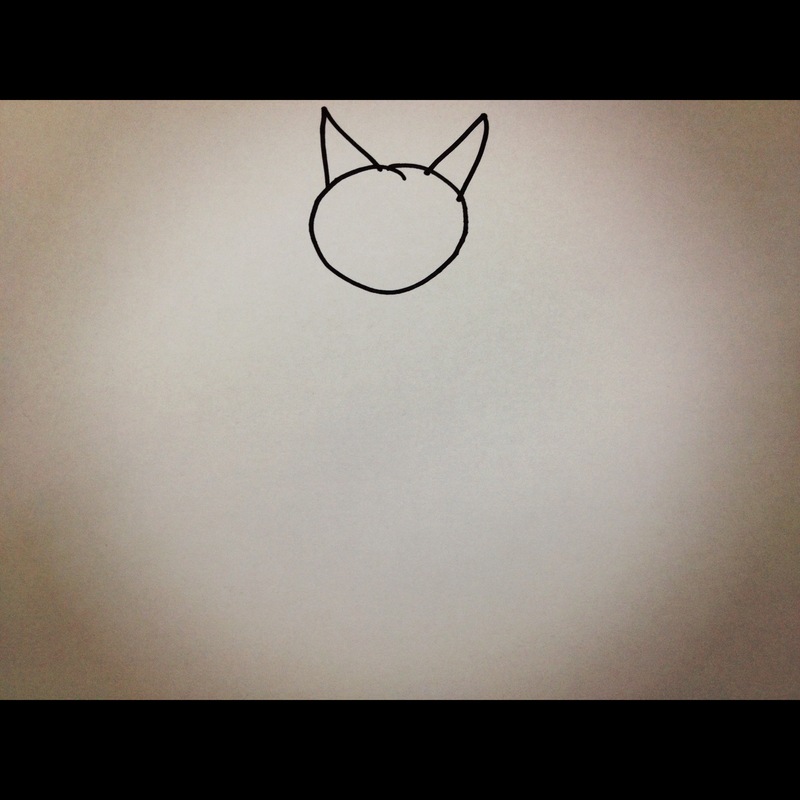 Step 2: Draw two triangles. 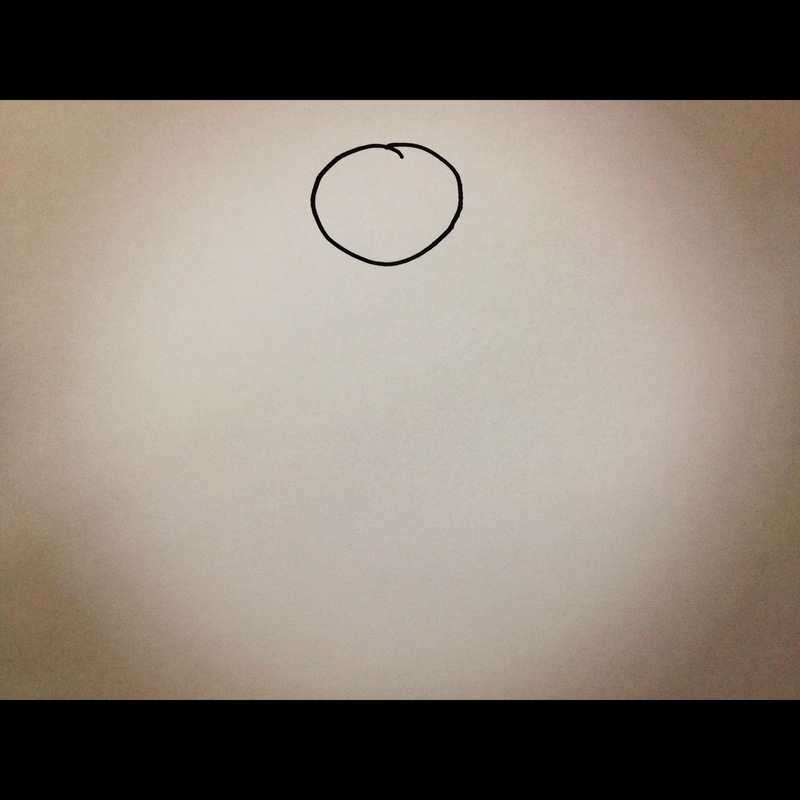 Step 3: Draw an oval…ish. 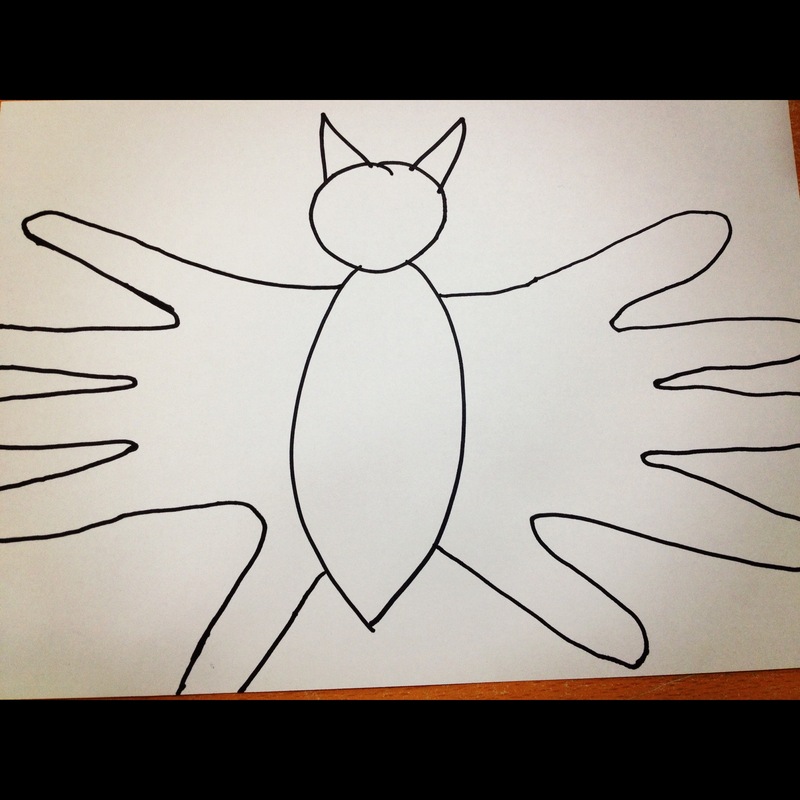 Step 4: Trace your hands to make wings. Step 5: Color and cut out. 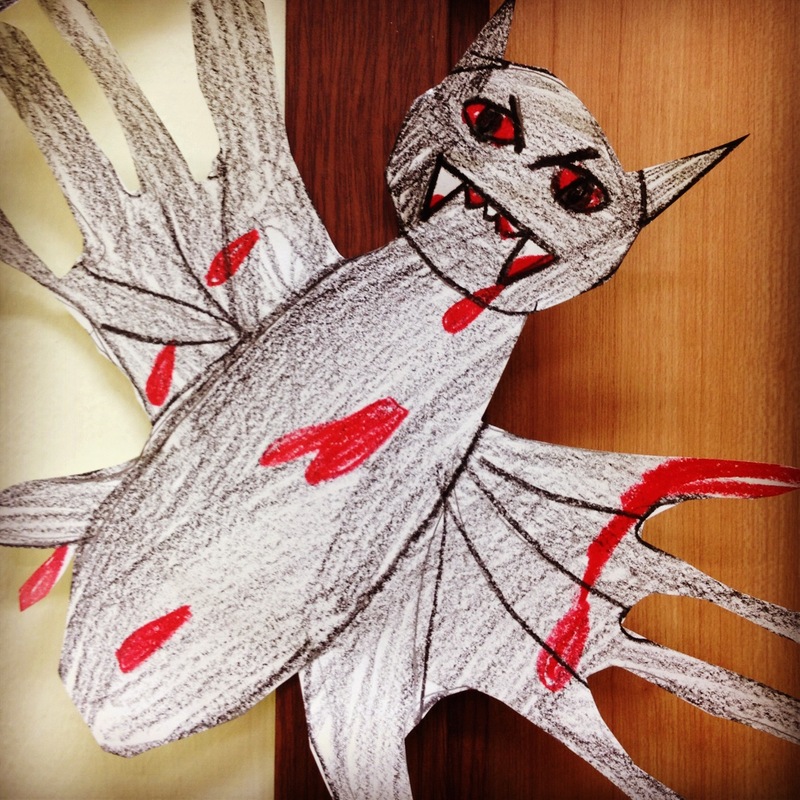 Decorate classroom, home or hang from ceiling to make flying bats! 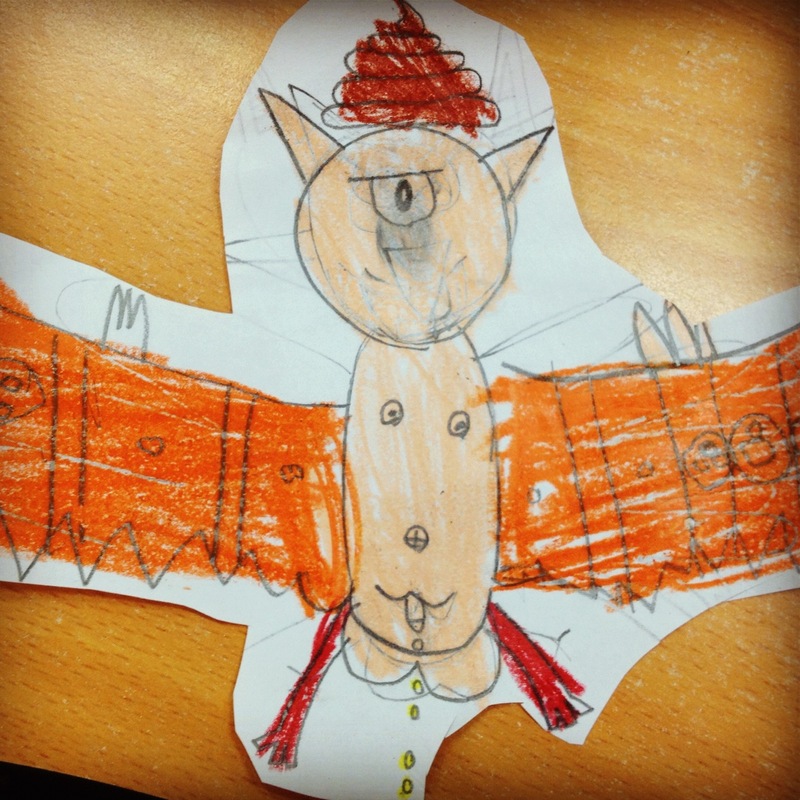 Be careful the kids know they’re making bats and not butterflies…and also keep an eye on them as you’d be surprised how creative they can get when left alone for two minutes! The instructions are simple but I changed it slightly from the site I found it on. You will need an A4 sheet of paper, crayons, scissors, tape and glue. 1. Cut sheet of A4 paper in half. 2. Color one half of A4 paper on both sides either orange or red or yellow. 3. Fold sheet vertically once. Then fold vertically again so you have a thin strip of paper. 4. Open up paper and cut along folded lines. You should have four strips of paper. 5. Lay strips on top of each other in a * formation as above in the diagram, gluing each strip to each other with a dot of glue in the center. It’ll make it easier for the kids to form a sphere. 6. Starting with the bottom strip, bring the two ends together and secure with tape. Do this with all four strips, securing them both to each other AND to the other strips to form a sphere. 7. For the stem: cut a small piece of paper off the other half of the A4 sheet. Color green on both sides. 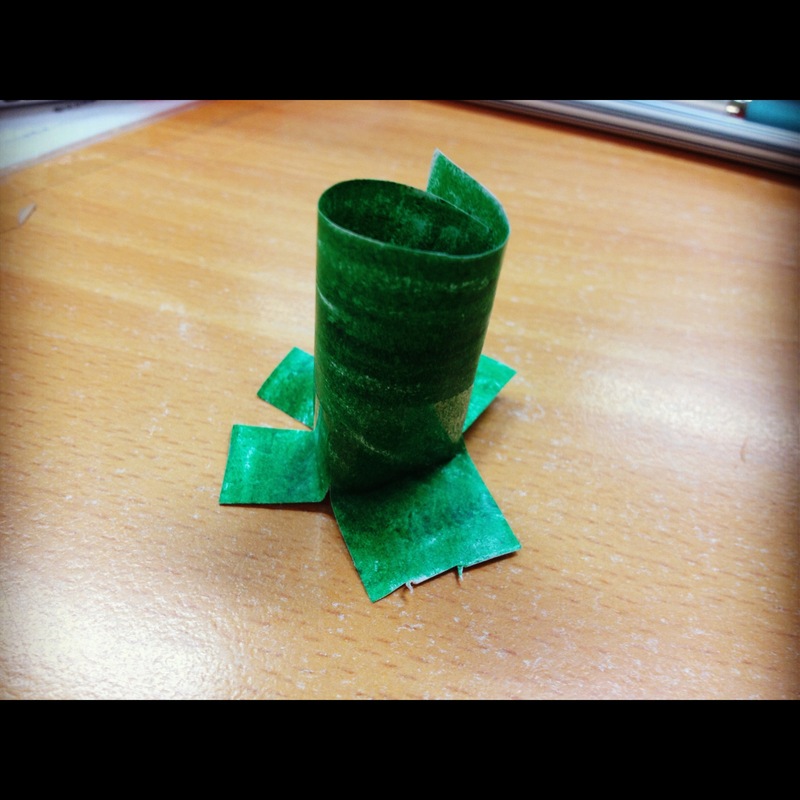 Form a cylinder with it and secure with tape. Cut slits in cylinder halfway and fray the end. 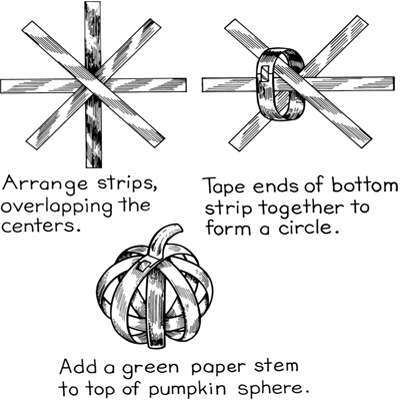 Glue to the top of the pumpkin. 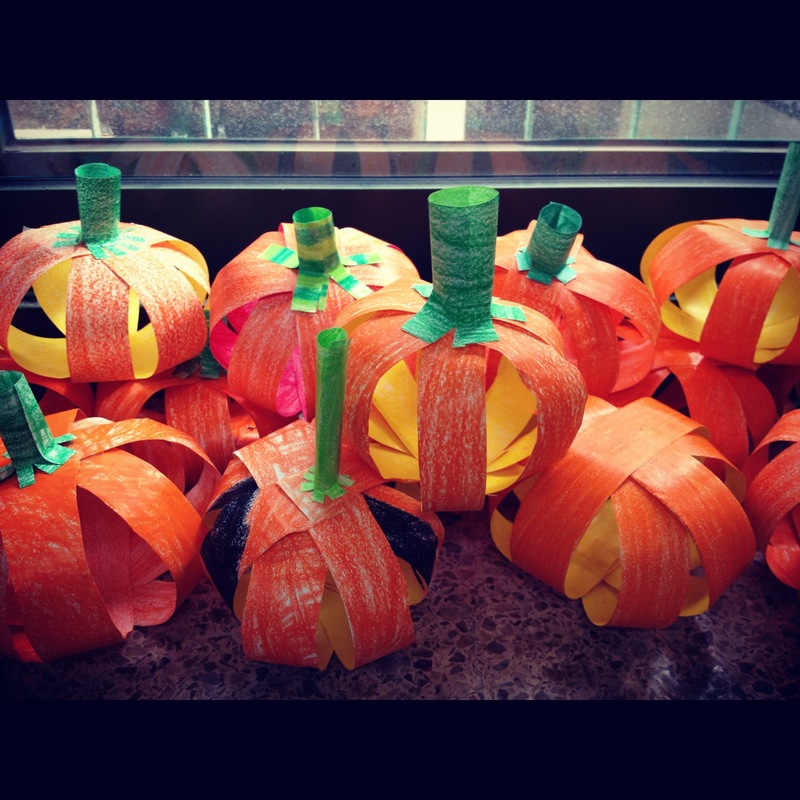 You can either create your own pumpkin patch or tie a string through the top and hang from the ceiling or in a window.